Every organization at Towson University is mandated by SGA to complete a set amount of community service hours in order to fall within a certain tier of funding. This requirement was set to encourage student organizations to recognize the value in giving back and/or volunteering. However, giving back to our community should not be something we are mandated to do but something that as students of Towson University and as leaders within our specific organizations we should be willing to do. Students might feel as though there are not many opportunities for them to give back and/or serve their communities. However, Towson has made it easier for students to find different opportunities to give back. On the TU community service webpage, Towson University defines what community service or philanthropic action is and provides students the option of joining a mailing list that sends notifications out about upcoming community service opportunities. Remember, giving back is not always in monetary terms. It could be picking up trash as you walk to class to keep our campus clean. It could be volunteering with Blue Water Baltimore to clean up some of the streams around the Baltimore area. It could also be a student organization making lunch bags or sandwiches for a local homeless shelter or volunteering at a soup kitchen, such as Our Daily Bread. As a student, if you want to start giving back to your community, you can join more than 800 fellow students who will be participating in the Big Event on April 26. 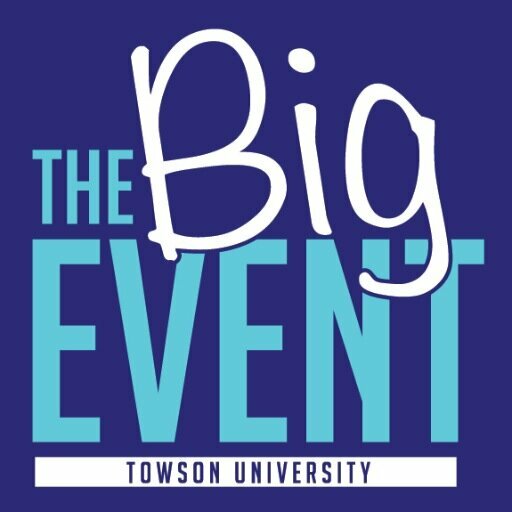 The Big Event is Towson University’s largest day of community service where students are encouraged to give back to the Towson Community. This event helps students to have a direct impact on the community that surrounds them. So as a CBE student, get out and serve your community! Learn more about community service here.